This year marks the first in which VARs, or video assistant referees, are being used at the World Cup. The VARs work at a production studio in Moscow and intervene with video review when the on-field officials miss a call during play. But what I didn’t notice until yesterday is that despite sometimes being located hundreds of miles away from where the match is taking place, VARs still wear bright yellow referee’s jerseys (see above). That got me thinking: Do off-field officials in other sports wear the same uniforms as the on-field officials? In America, it’s extremely rare. Thanks to feature articles and league-produced videos, we know replay officials in the NBA, NFL, NHL, and MLB aren’t required to wear uniforms. The college football rulebook does not specify what the replay official needs to wear outside of a headset, but this story about the SEC replay center seems to indicate uniforms aren’t worn. I discussed this a bit yesterday on Twitter, where @Univers47 pointed out that while off-ice NHL officials don’t normally wear referees jerseys, it’s not uncommon to see goal judges in stripes behind the glass in international games. 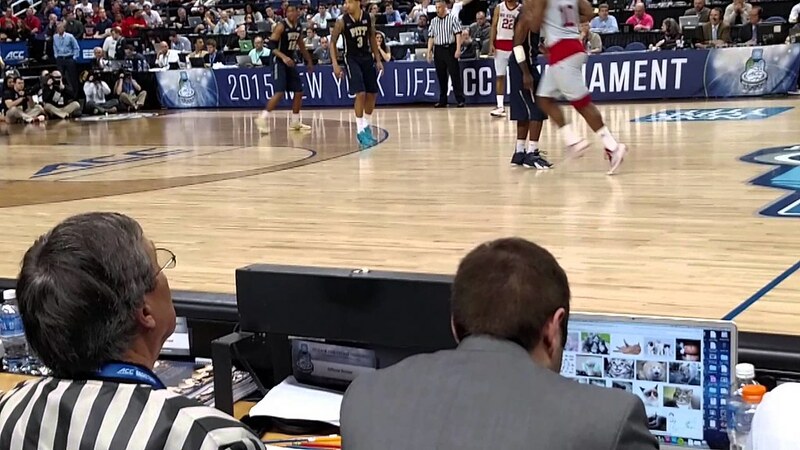 Reader Adam Obringer says he works as an NCAA basketball replay assistant and isn’t required to wear a uniform (save for wearing conference-branded gear at tournaments). After a night of researching, I could only find one off-court official in American sports who wears a true uniform: the NCAA basketball official scorer. It’s strange to me that the official scorer is in stripes. The NCAA goes out of its way to identify the official scorer as a member of the “home team’s faculty,” — should an official who could be deemed biased toward one team carry the authority conferred by an officiating uniform? In any event, the college basketball official scorer is still just inches from the floor itself. They’re practically in the game. The World Cup VARs? They’re far, far away, watching the game on TV — just like the rest of us. 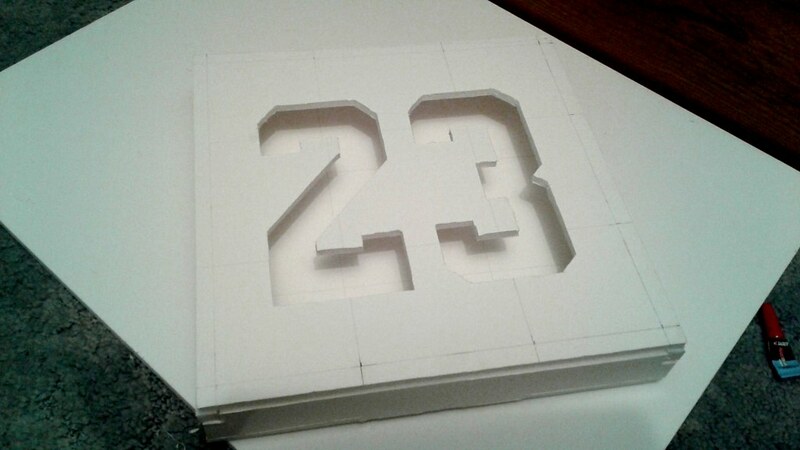 I bought my best friend one of the recent limited-edition Jordan jerseys for his birthday. 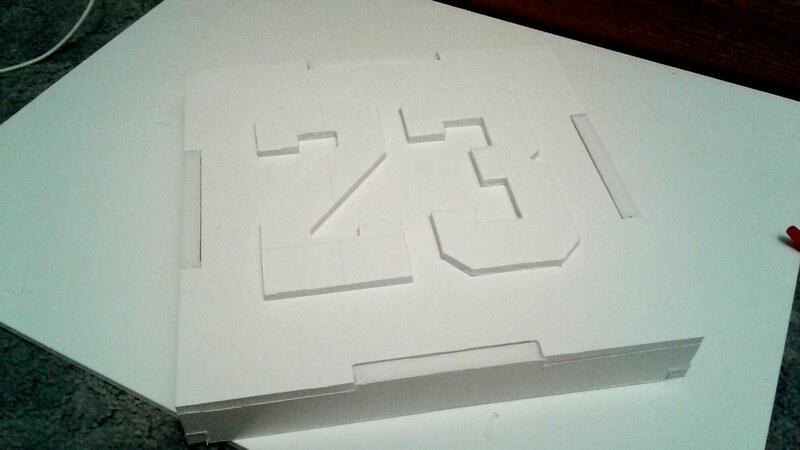 Since it’s a special edition, I thought I’d try making a special a box for it, like the brands themselves are sometimes doing these days. 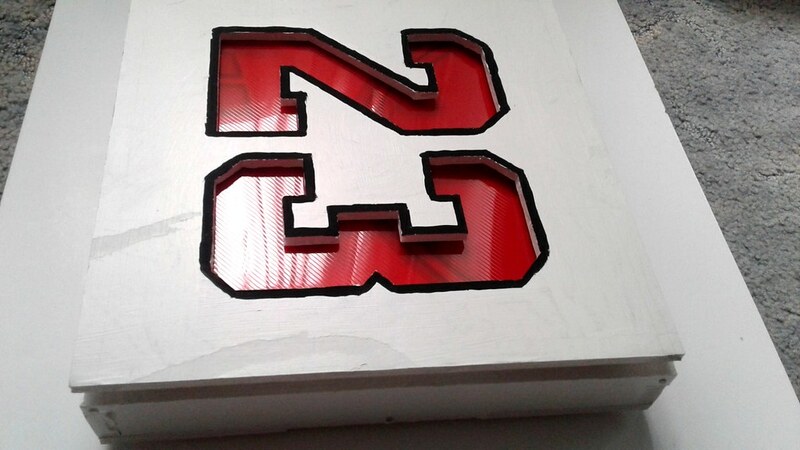 I made the box with light cardboard, strong glue and thin nails. 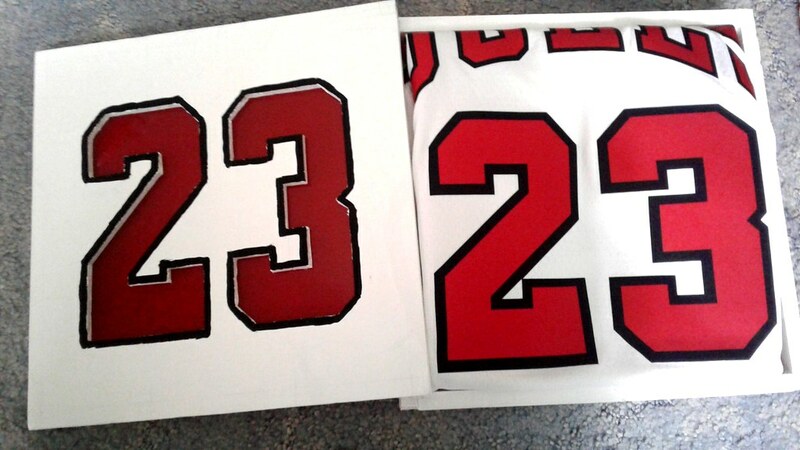 I cut out the number 23 on the front and pasted it on the back. Painted it all in white. 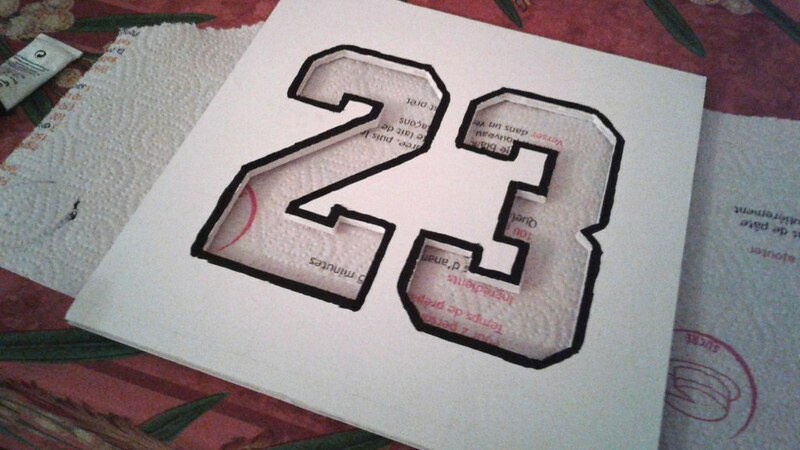 I then painted the number 23’s outline in black. 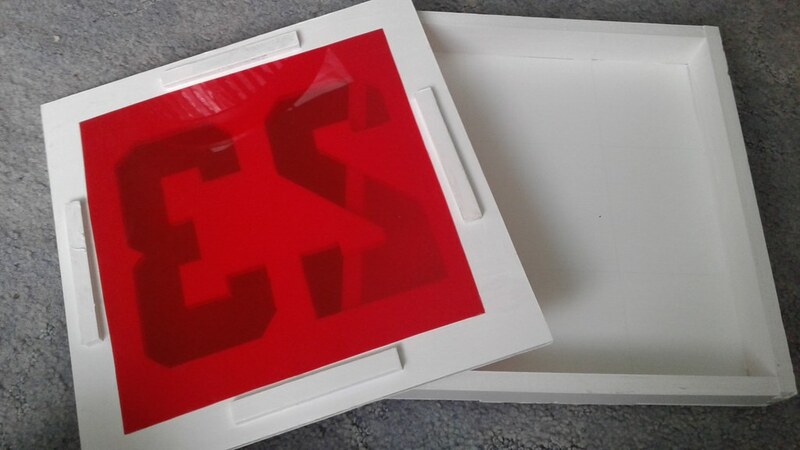 Finally, I glued a transparent red binder cover in the inside of the box’s top. And voilà. Baseball News: Indians P Mike Clevinger has batting gloves with characters from Disney’s Lilo & Stitch (from Mike Chamernik). 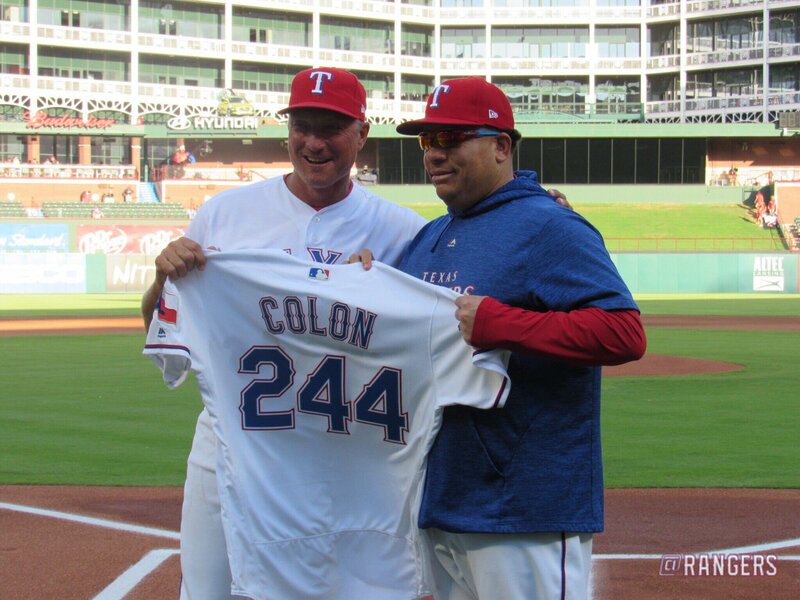 … The Rangers presented P Bartolo Colon with a No. 244 jersey in honor of Colon becoming the winningest Dominican pitcher in baseball history (from Ignacio). … Giants P Johnny Cueto wore an awesome recursive hat and matching shirt in a recent Instagram post. Unfortunately, the image was photoshopped (also from Mike Chamernik). 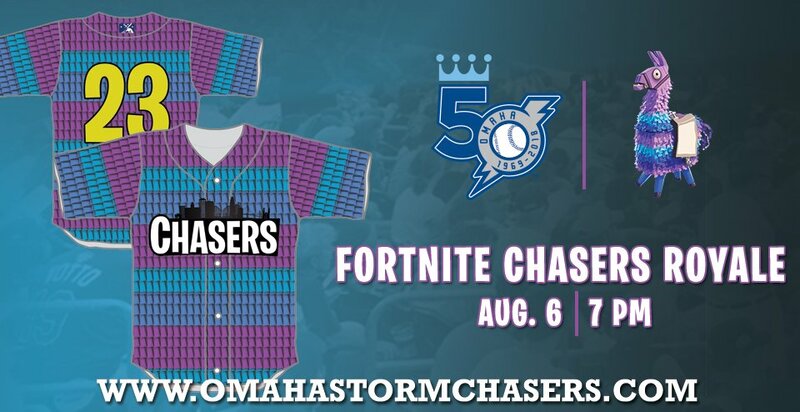 … The Omaha Storm Chasers will wear jerseys inspired by the video game Fortnite on Aug. 6 (from @mrmichael21). … Shaun Meulemans spotted a guy in the crowd at a World Cup match wearing a Brewers shirt. … Speaking of the Brewers, Milwaukee Bucks rookie Donte DiVincenzo got a personalized throwback Brew Crew jersey last night (from Garrett). … Military-appreciation jerseys for the Wisconsin Rapids Rafters. Fans sent in pictures of loved ones who had served or are currently serving to be featured on the jersey. 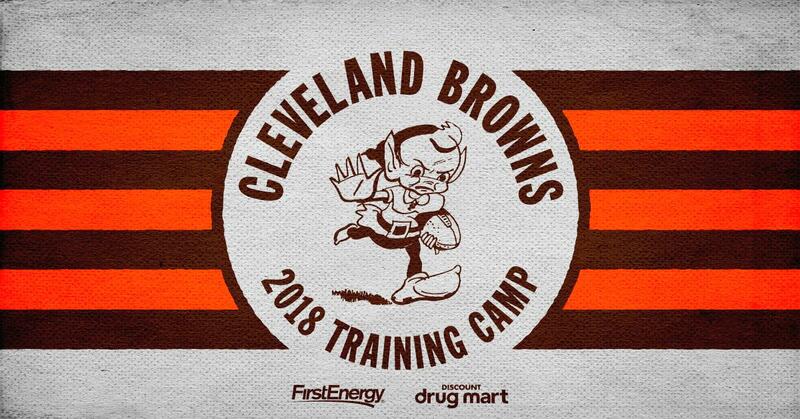 NFL News: The Browns unveiled a training camp logo yesterday featuring the original Brownie the Elf from 1946. But they didn’t stop there — they also set Brownie as the banner image on their team website (from Jarod Miller). … The New Orleans media poked fun at the Falcons for releasing a ridiculous new poster (from Russell Goutierez). … The youth football program in Kennett, Pa., is using the Titans’ logo (from Langhorne Mayor). 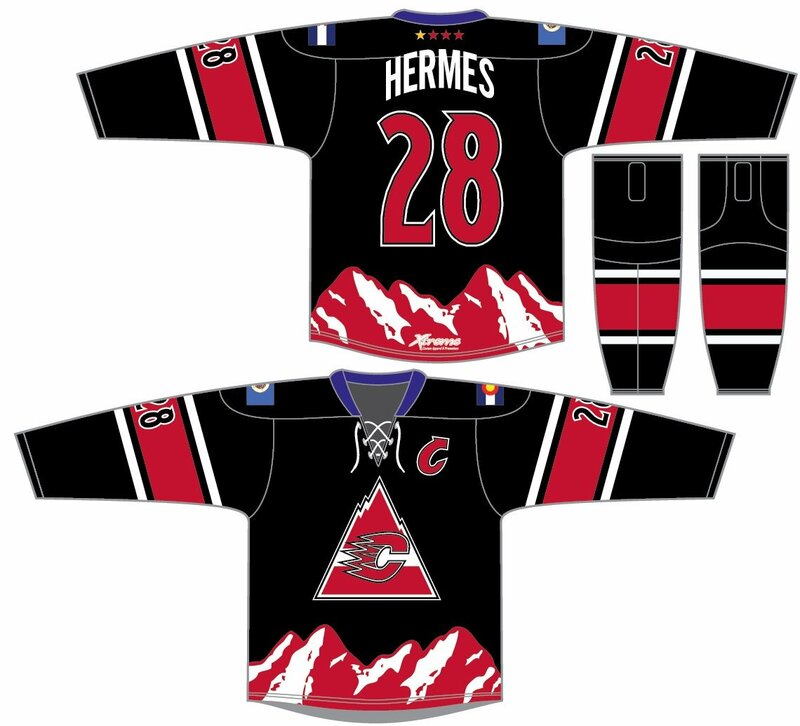 Hockey News: Centennial High School (Minnesota) wore these Rockies/Avalanche-inspired jerseys during a trip to a tournament in Colorado (from @teddyice13). … New numbers for the Nashville Predators’ draft selections (from Daniel W.). … Check it out: You can get an Adirondack chair made from game-used hockey sticks (from Jimmy Lonetti). … The ECHL’s newest team, the Maine Mariners, unveiled their jerseys. Here’s a closer look at some of the details. 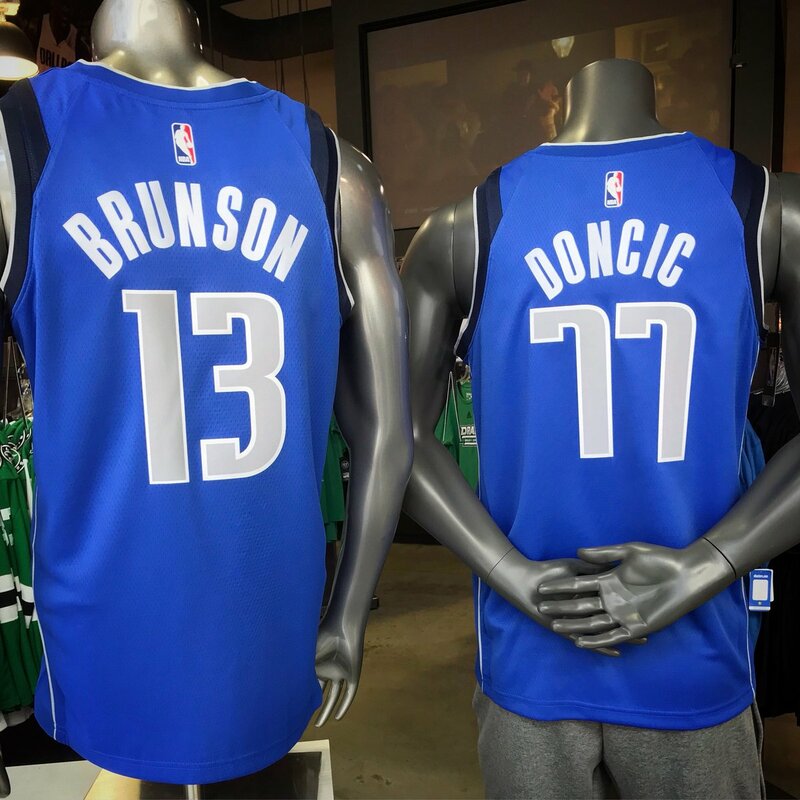 NBA News: The Mavs are selling jerseys for their first-round pick Luka Dončić without accent marks (from our own Kris Gross). … I love this side-by-side comparison of draft day suits from 2003 and 2018 (from David Brown). 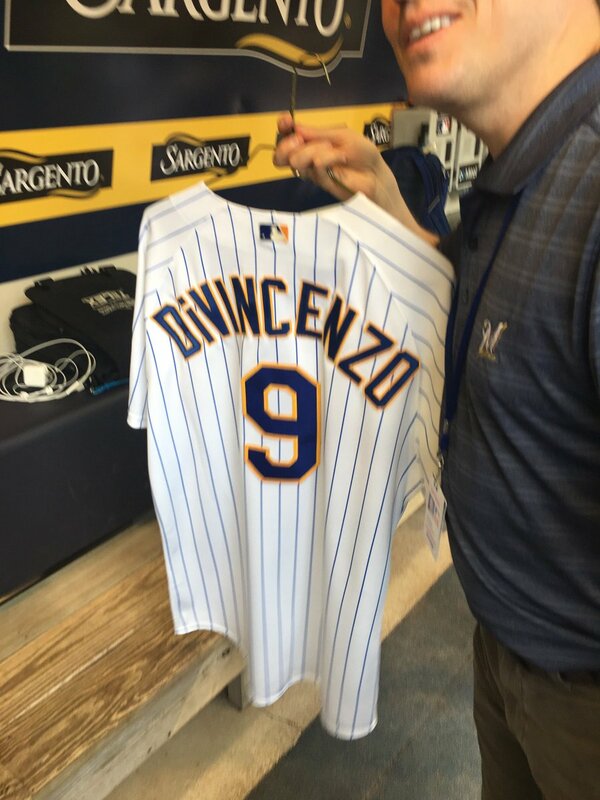 … Cross-listed from the baseball section: Bucks rookie Donte DiVincenzo got a personalized throwback Milwaukee Brewers jersey last night (from Garrett). Soccer News: The World Cup will use a new style of game ball when the knockout rounds begin on Saturday (from Josh Hinton and Jamie Rathjen). 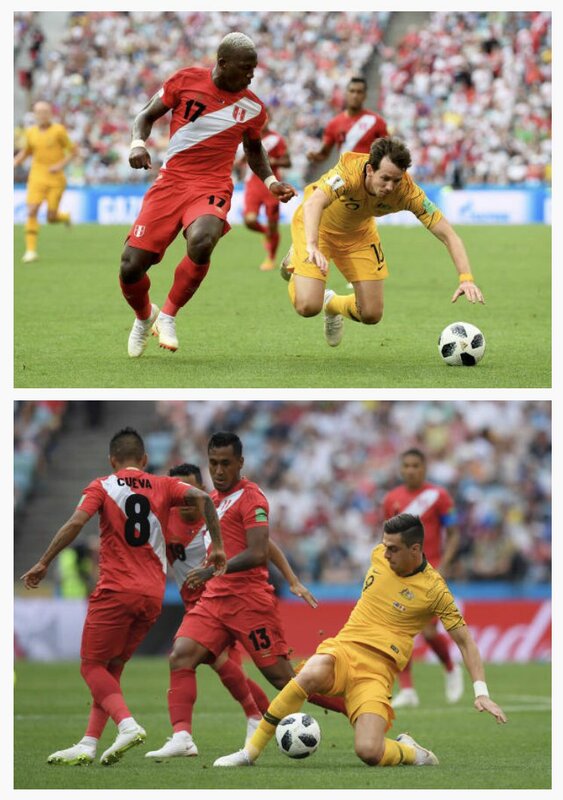 … Yesterday’s World Cup match between Australia and Peru looked a bit Color Rash-y (from Shaun Meulemans). …‏ NYT has an interactive game where users look at World Cup action photos and guess where the ball is (NYT link). Harder than it looks! (From Mike Chamernik). … Repost: Shaun Meulemans spotted a guy in the crowd at a World Cup match wearing a Milwaukee Brewers shirt. 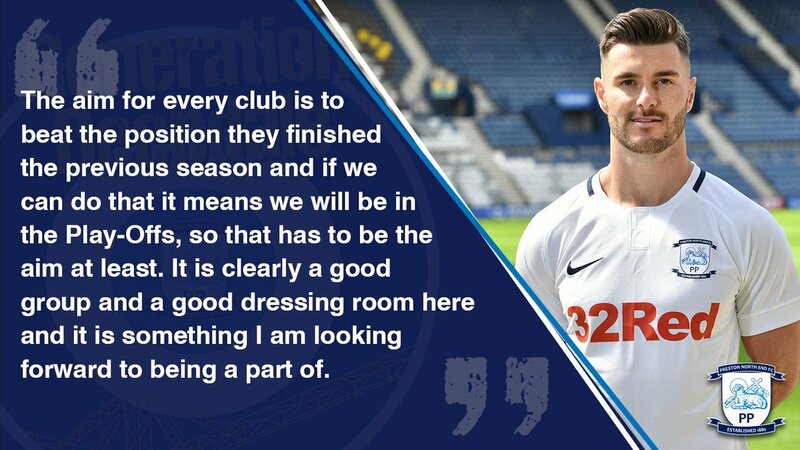 … Josh Hinton has a few notes about kit leaks/releases: Italian club AS Roma’s away kit has leaked, French Ligue 2 club RC Lens released its new kits, and Preston North End of the English Championship release a new home kit. … Five new kits — a traditional purple home kit and four change kits to represent the four neighborhoods of Florence — for Italian club Fiorentina (from Bryan Justman). … Manchester United midfield Ander Herrera recently explained why he wears FNOB (from Griffin Smith). … Hmmm — the crest on the back of the MLS All-Star Game jerseys suuuure does look familiar. Grab Bag: Men sponsored by Lacoste — including Novak Djokovic — will wear this outfit throughout Wimbledon, while women — including Christina McHale — will be wearing this outfit. … Speaking of Wimbledon, this piece discusses the club’s (in)famous dress code (from Phil). … This is what Team USA will wear during the Major League Lacrosse All-Star Game on Thursday. … Jeremy Brahm has a couple updates from the world of volleyball: New logos for Italian men’s pro team Lube Civitanova and Japaenese women’s team Saitama Ageo Medics. 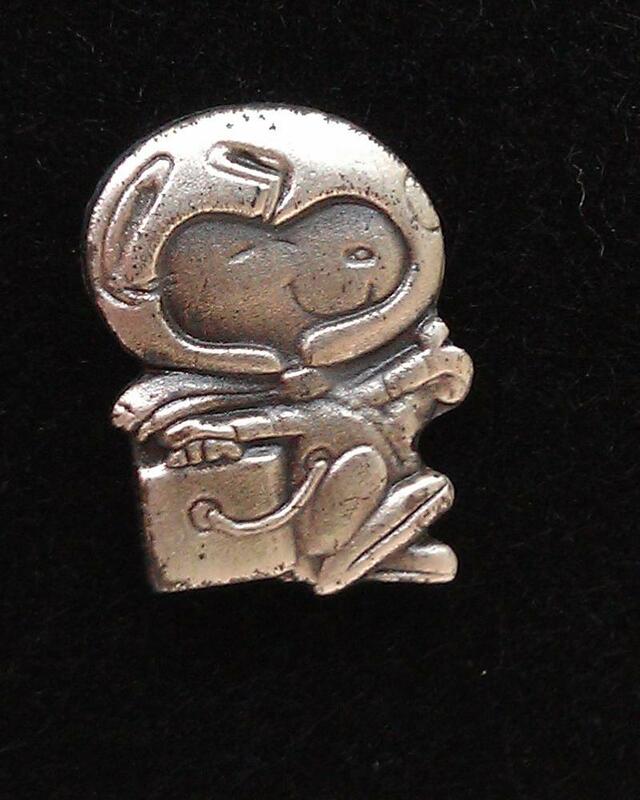 … NASA apparently presents employees who display “outstanding performance, contributing to flight safety and mission success” with a silver Snoopy astronaut pin (from @walbergLines). Happy birthday to Uni Watch alum Mike Chamernik, who has continued to be a frequent Ticker contributor (and a good friend). Enjoy your special day, Mike! Actually, the VAR officials wear the same color jerseys as the on-field referees that are working the match. If the officials wear blue shirts, so do all of the off-site officials! Didn’t know that! I guess it would make sense that refs have change kits too, considering Australia’s yellow get up yesterday. Interesting that they coordinate in Moscow! That Browns training camp logo, set as a roundel would make a wonderful, throwback inspired helmet logo. Just remove the “training camp” year underneath and replace it with the established year. It would also break up that awful, sea of uncovered orange. The Mike Clevenger gloves in the baseball section – one glove has Lilo and Stitch while the other has Moana. You beat me to it. Did he mean to put Nani??? For some reason, that site is missing the Cardinals poster… but it does exist. Here’s a complete listing from the manufacturer’s site. I REALLY wanted to see a dolphin head!! The other bird ones are just as bad as the Falcons’. Some interesting choices as to how the mascot/ player was depicted. The Cowboys, Chiefs, Chargers, and Ravens had white jerseys while the others had their dark jersey, except the Patriot had a version of a minuteman uniform instead of a football uniform. Not sure why the Packer had a hard hat, and the Steeler looked like he was made of steel instead of being a steelworker. Interesting how the Raiders left off ‘Oakland.’ Probably a safe assumption they’re assuming these beauties will still be laying around in the warehouse in a few years when the Raiders are in Vegas. We’re seeing a lot of that lately. I’m curious why there are different prices depending on the team. Just guessing: supply and demand? 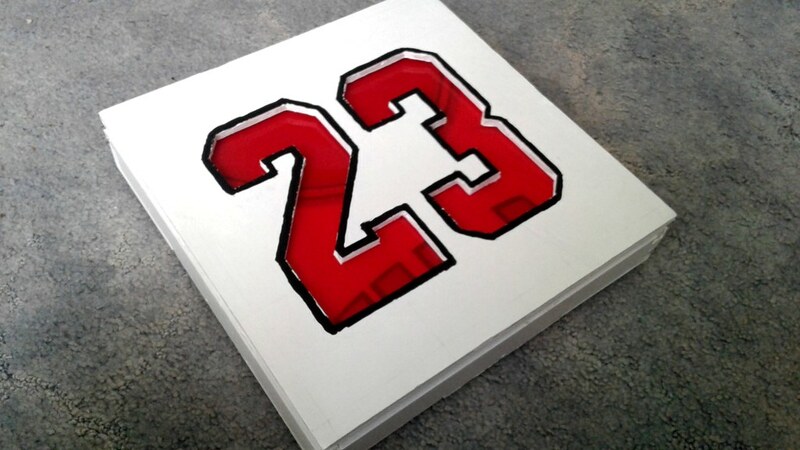 Loved the Jordan project. Really came out spectacular and makes those of us who are all thumbs, jealous. Great dedication to detail and hours of work. Thanks for sharing. Another off-field official I thought of yesterday that wears a uniform is the video referee at major tournaments in field hockey (the Olympics, etc.) – they’ll be at the stadium, but in a press box, basically, and wearing the same shirt as the other officials. Seems to me that the wearing of uniforms depends on whether the officials are visible on TV or not. Good call! Definitely seems to be more of an international convention. Am I the only one that noticed that before each World Cup game, when the teams are standing in line to recited their national anthem, one team is always wearing warm up jackets but the other team is always not? I always thought it was up to the team or uniform manufacturer to determine if they wear them but it has been very constant this tournament. Who gets to decide which team is the one in warm up jackets? Both Brazil and Serbia are wearing their warmup jackets for the walkout. In our conference the college football replay officials’ uniform is a jacket and tie. Is it a specific suit and tie that is consistent from game to game? Or are they just required to wear any suit and tie? If the latter is the case, I would say that it is a dress code, not a uniform. Exactly. It’s a dress code. I did serve as the official scorer for my Division III basketball team when I was in college. The scorer for the home and visiting teams usually sit next to each other, and if there ever is a discrepancy, they will call the referees to the table to review the matter. The home scorer could wear the stripes as that book is considered the official record of the game, and therefore does have significance, but also it makes it easy for the referees to quickly identify the official scorer at a crowded table in a packed gym. Granted, they could just as easily pick a different shirt for identification, but the stripes serve the purpose. I never actually did wear the striped shirt. Our gym was so small, the table between the benches only had 3 seats – 2 scorers and the clock operator. Our local basketball officiating organization (IAABO) also recommends the official scorer wear a striped shirt at the table, for easier identification by the on-court officials. On occasion, I have been the official time keeper for some high school football games, and it’s strongly encouraged that we wear at least a striped shirt and hat (in addition to whatever else we’re wearing) to make it easier to be spotted by the on-field officials, in case of a time or score adjustment. Uniform-wise, he ran a tight ship — you didn’t see players with numbers in the 60s like you often do now when he was in charge (in fact, he usually kept things up to about 50) and he used the semi-systematic guidelines where manager, coaches, and catchers have single digits, 10-19 for infielders, 20-29 for outfielders, and 30-49 for pitchers… but wasn’t so strict that players who wanted other numbers couldn’t have them. The perfect balance. Basketball is the only major sport (that I can think of) where the on-court officials regularly interact with the Official Scorer. The strips help the officials on the far side of the court know who to signal fouls to. Considering how large scorer tables have gotten, its not unusual to have 20 people sitting tightly next to each other. It would take forever if the officials had to find the Scorer each play. The NBA draft pick suit comparison is 2003 and 2017, right? That’s what the reddit post says and those look like 2017 draft picks. My HS football officials association provides the 4, 5 or 7 (playoffs) on-field officials and the clock operator. If our clock operator is on-field certified they will wear the full uniform, including flags and whistle. For some underclassman games we do doubleheaders with a newer referee and an older referee. They swap out so that the newer referee can get some feedback. For Varsity games we almost always try to have a younger spare official up there in case somebody gets hurt and during the playoffs it is a requirement that the clock operator could come down and take the field if necessary. I know that not all associations in Florida provide clock operators and I don’t know about other states. The Indians don’t play the Cardinals this weekend, they’re playing them right now. And Clevinger pitched his game on Monday June 25th, the day of the tweet. 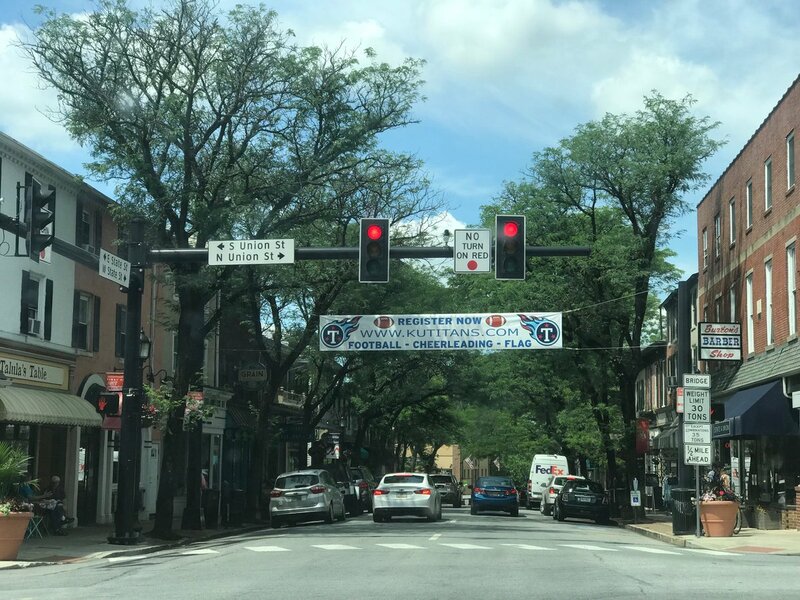 That youth football banner with the Titans logo is actually in Kennett Square, PA, not Kennett, PA. And I agree with the mayor of Langhorne–they should create their own logo. Bartolo Colón (and CC Sabathia) can definitely pull off a 3-digit number. Curious as to what the guy next to the NCAA official scorer is looking at (photo). Cat photos? Great eye, Jason. Too funny! Looking for a picture of a panther? It’s all hearsay, but on some Browns message boards I frequent, the return to 1946 stuff is further evidence that the 2020 uniform overhaul will include a white helmet. As long as they don’t put a logo on it. It’s totally unnecessary. Hahaha. I love how the dudes just googling cat photos while courtside. Hig school official scorers in Nebraska wear stripes. Often just a penny vest so that the officials know with whom to communicate. NHL penalty box attendants and score keepers have a uniform look: NHL blazer, tie, matching dress pants, etc. I can’t be the only one who thinks “VAR Room” looks like “WAR Room,” given the World Cup font. At first glance, I thought FIFA had embraced the cheesy militarism more expected of the NFL. 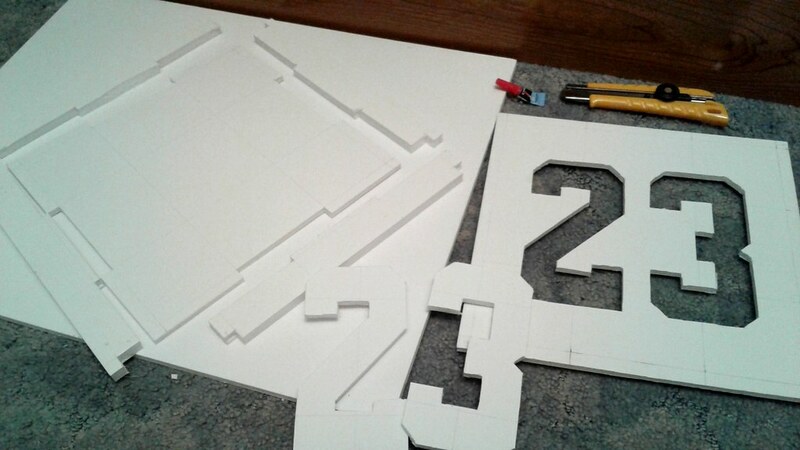 Fortnite baseball jerseys? Sorta makes sense for a team called the Stormchasers. Smh. In international volleyball (FIVB) the video referees are dressed in their uniforms by the monitors for indoor and beach volleyball. 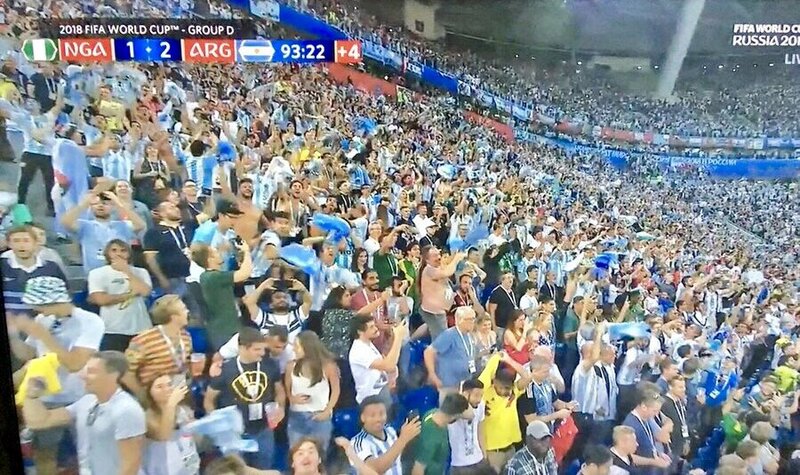 All the VAR crews at the World Cup are made up of those who are already referees or linesmen at the tournament. There’s no special replay-only officials like there might be in other sports, so nobody’s wearing the officials’ uniform that wouldn’t do so normally. Modifying this slightly – all VARs are referees, but some weren’t selected to referee at the tournament. Mr. Thomas Fiers, excellent work. Your friend is a lucky fellow. The guy next next to the ncaa scorekeeper is looking at cat pictures. The head of FIFA officials (legendary Pierre Luigi Collina) explained the VAR officials were referees, so why wouldn’t they still wear their kits. He also said the refs might be under pressure and sweat, and wearing sweat reducing gear makes sense. I went to a small NAIA school in Florida and I worked the table for basketball games. During my Junior year the conference mandated that anyone keeping the book would have to wear stripes as to not appear biased.